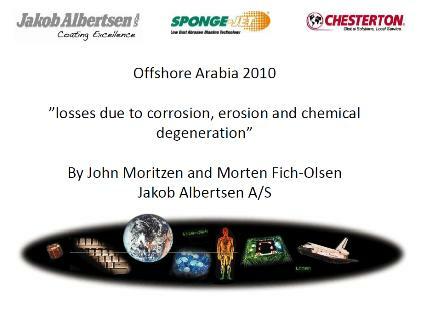 A presentation made for Offshore Arabia 2010 which gives an insight about Sponge Jet with comparisons and explanations. The presentations also deals with the product ceramic composite. Click image above to see the entire presentation.